We've almost always shared our home with at least two cats, and it's worked out pretty well for us. After Fritz crossed the Rainbow Bridge, we adopted Cosmo as a companion for Saffy. A few years later we adopted Phoebe to round out the trio. Cosmo gets along swimmingly with both of the girls, but Saffy and Phoebe don't hang together very often. Whatever the case, someone always has someone else with which to socialize, play and nap. 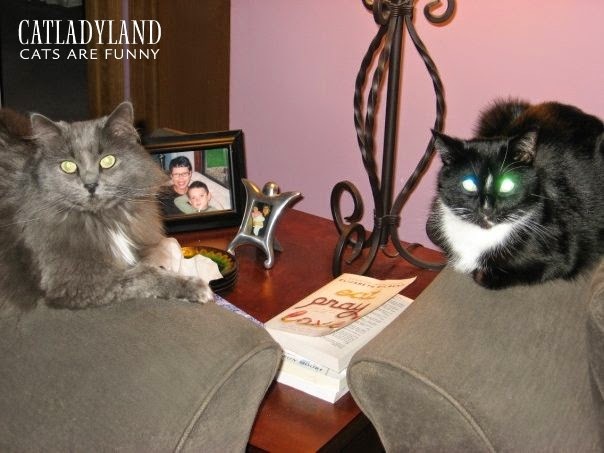 Two cats usually entertain each other, providing social and mental interaction, exercise and additional grooming. Cats don't crave packs like dogs do, but they do tend to live in colonies in the wild, so the multi-cat household can be an easy and comfortable environment for two cats. Do you have enough space for multiple cats? Although cats can enjoy interaction, they also need space to be alone, hide and find height. Even a small home can be "catified" to create extra space with cat towers, shelves and other above-ground spaces for cats to inhabit. If you're looking for ideas, be sure to grab a copy of Jackson Galaxy and Kate Benjamin's new book, Catification -- it just came out this week, and includes some fun and practical solutions. Also remember that you'll need space for as many litter boxes as you have cats, plus one. Adopting kittens from the same litter can be a benefit because they've already been socialized together. A kitten and an experienced cat can be a great choice as well -- that's what we've done in the past. It's important to make sure the adult cat with a history of living alone. When adopting an older cat, always access the history, if possible. Some cats specifically don't like children or other animals -- we need to respect those pieces of information. Sometimes adult cats were surrendered together, are close buddies, and it's a good idea to keep them together, if possible -- or at least not split them apart. In my experience, it's been a positive experience to have more than one cat, but there are definitely a few considerations regarding time and finances. Do you have the time to correctly socialize the new cat/s with any existing pets? This is critical and sets the tone for life with the new feline family members/s. Multiple cats means multiple vet bills, jugs of litter and food. Truly examine those needs against your budget before making the adoption decision. 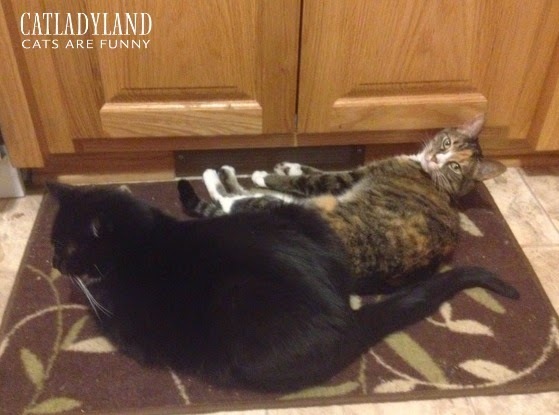 Do you share your home with multiple cats? Did you adopt more than one cat at the same time? What's been your experience? 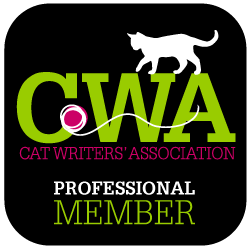 This post is sponsored by BlogPaws. 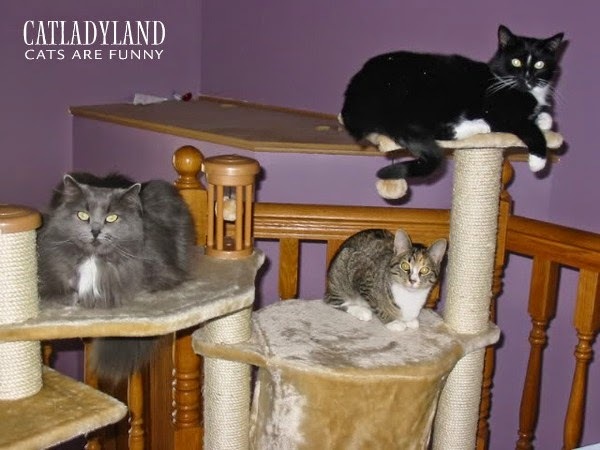 I am being compensated by helping spread the word about DIY projects that enrich cats' lives, but Catladyland only shares information we feel is relevant to our readers. BlogPaws is not responsible for the content of this article.